I showed Alex the video and article. He seemed to really absorb all you said in it. Thanks for all you do for all these kids. Keep up the great work. Thanks Sheri! If he consistently works on it, then he’ll start getting more consistent with his long drives. This is the funniest thing i have ever heard of. They hit home runs after seeing you one time. I was at the tournament, not to take anything away from the boys, because they did play very well. The fences were very short and the competition was Average. I hit with the young man you talked about, Ben. 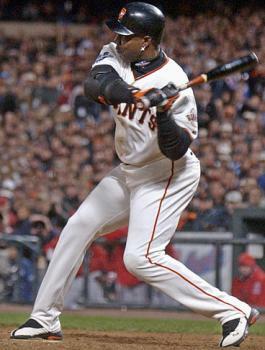 He has had a very fundamentally sound swing for some time now. I follow your website and think you do a good job instucting the boys. But please dont act like after one lesson you can turn a player into a homerun hitter. Jeff, first off these results are not typical, and I’ll add that in the post. Some of my players “get it” quicker than others, and as you pointed out, this may happen if they already have a few science ingredients mixed into their swing recipe. All three boys mentioned in the article (Ben, Paul, and Dylan), all had forward momentum naturally working for them, before me. And to the naked eye, their swings did look sound, but under video analysis, all three bled force at impact because of very slow and long turns. We worked on getting them tighter in their Final Turns. Let’s be honest Jeff, you are taking away from the boys. You know how hard it is to hit, regardless of quality pitching and shorter fences. At Fresno State, sometimes we’d crush great pitching and sometimes we’d lose against terrible pitchers. Sometimes we’d hit zero home-runs at a field with a shorter porch. Sometimes we’d hit multiple dingers with deeper than average dimensions. I appreciate the gut-check Jeff and I do apologize for sounding like those other blowhards online. I’ll be more careful with my words next time. Joey, Im definitely not taking anything away from the boys. Like i said, they played really well. i just posted that after one lesson you dont become a homerun hitter. I have been lucky to have played for some of the best hitting coaches in the game today. And i know the amount of time it takes to become a succssful hitter. Im not here to put you down, i think the Science you bring to hitting is great. I just know it takes more than a team lesson for a individual to take it all in and apply what they have learned. Best of luck to your business, and the Sliders Black. They are coached very well and are a good group of young men. Hey Jeff, I appreciate the comment. I’ve revised the article to reflect better wording. I agree, you cannot master hitting a ball with consistent power after one session, I’m sorry I came off that way. It depends on three things: 1) Skill specific human movement science, 2) Sticky coaching cues, and 3) Follow through (constant feedback). Coach Justin Karr has also been working the system I use religiously, at practice, over the past year. And their ongoing developmental success is a testament to how he’s steering the ship. Thanks again and no hard feelings. Jeff obviously wants everyone to know that he played for some of the best Hitting coaches on earth and that he is more knowledgeable than you. Anyone who reads tour stuff knows you are not a guy making quick fix promises. Unless you are Jeff Bagwell, Jeff Burroughs,Jeffrey leonard, etc. , no one cares what you know. You did take away from these kids. Wat did you play college ball or minor league ball. So wat.